Spas are a great alternative to pools for a number of reasons. At Poolwerx, we sell a wide range of BANFF spa options that can be tailored to suit your needs. 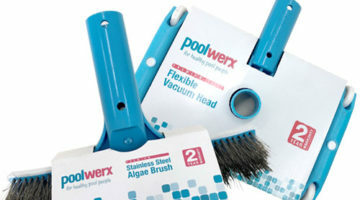 Whether you want something small for your backyard, or something more suitable for 5 – 8 people, Poolwerx has you covered. Banff Banff Spas ™ believe taking time out of our busy lives is essential for wellbeing and general happiness. Each Banff Spa has been built with this in mind – as an escape to resort level luxury and sophistication for your family every day of the year. Focus Focus Products Pty Ltd was formed in 1991 to provide a full service and product solution to the swimming pool and spa markets. Operations started humbly in Brisbane Queensland, and have since expanded to an international network. Insnrg Insnrg was created with the mission of creating swimming pool products that are easy to operate and maintain, as well as utilising energy efficient technology to save the end consumer money. With over 120 years of experience in design, manufacturing, sales and installation, the founding partners of Insnrg created a broad range of products perfect for your pool.